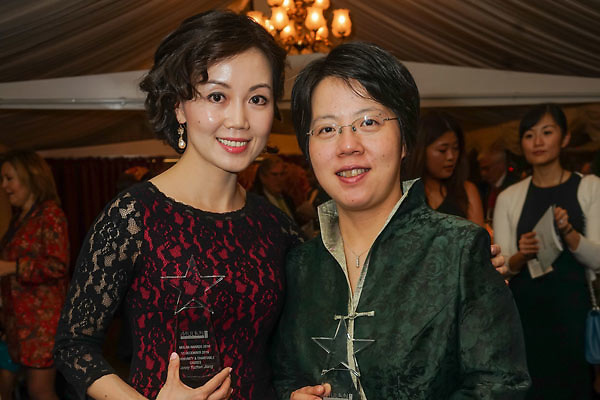 The Mulan Women Achievement Awards recognize and promote and the achievements of Chinese women residing in the UK and continental Europe. The name of the awards was inspired by the Chinese legendary heroine Hua Mulan, who disguised herself as a man to save her family honor and her country. Mei Sim Lai, Chair of the Mulan Foundation Network which gives the awards, said "I believe, and I know, that Chinese women around the world have so much to offer, to help each other, to deal with the businesses and also to act as role models for others. And this is what Mulan charity is all about.